Karla Hernandez-Villafuerte is an Economist at the Office of Health Economics. Karla’s current research includes the analysis of the socioeconomic distribution of health and wellbeing. She has a strong background in econometrics, statistics and quantitative methods. Before joining OHE in 2012, Karla was member of the health economic research group of the University of Costa Rica at the Central American Population Center (Centro Centroaméricano de Población). She worked for the Masters programmes of Health Economics and Banking in the same University where she taught econometrics and statistics. Karla served as a counselor in price transmission analysis for the Economic Commission for Latin America and the Caribbean (ECLAC). She has a PhD in Economics from the University of Goettingen. 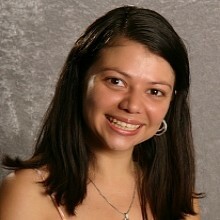 A native Costa Rican, Karla was awarded her master’s degree in economics from the University of Costa Rica. Since joining OHE her work has included the validating projections of medicines expenditure in the medium term in the UK; a cross-section analysis of spending by programme budget category across Primary Care Trusts in England; the analysis of the effect of NICE recommendation on the recommendation of countries outside England and Wales; and a model of NHS expenditure decisions within fuzzy budget constraints; among other projects.